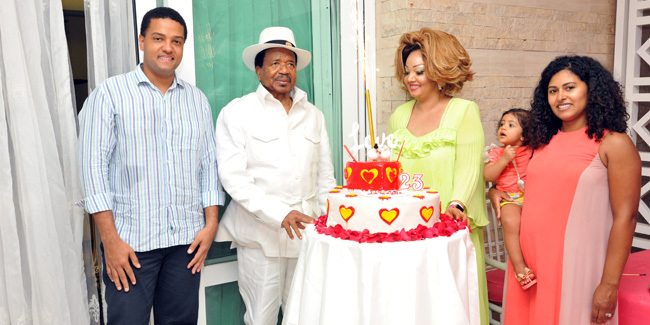 Cameroon’s 2nd President Paul Barthélemy Biya’a bi Mvondo and his wife Chantal Biya celebrates their 23rd Wedding Anniversary today 24th April 2017. 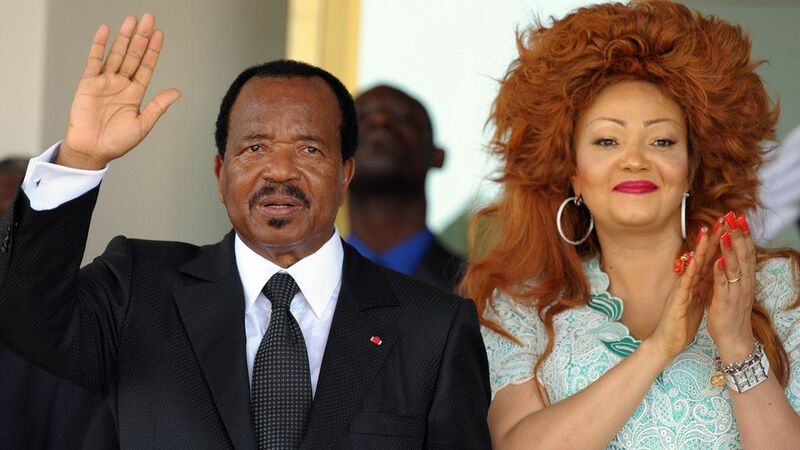 The love affair between Chantal Biya and Paul Biya occurred in 1993 at the birthday party of the Head of State in Mvomeka’a, his native village. 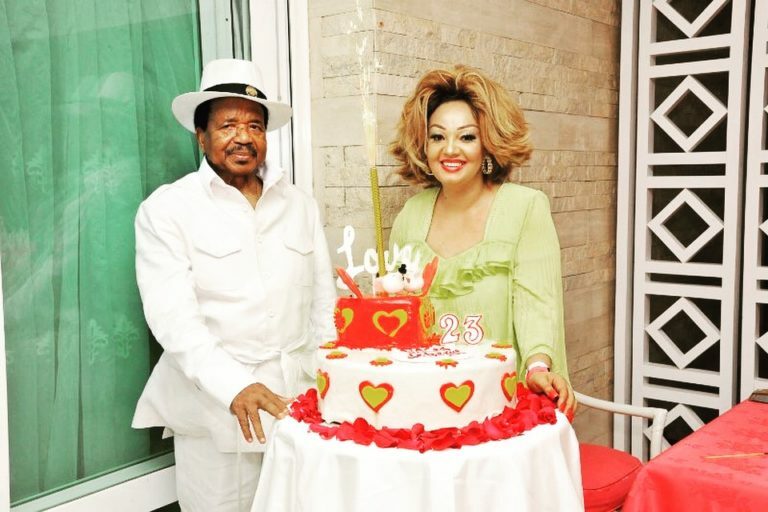 Chantal Biya then 22 years old, was taken to the birthday of Paul Biya by a friend, the late Elise Azar, a Lebanese-Cameroonian wife of a nephew of Biya. The official union of the presidential couple was totally discreet and away from the public and was celebrated at the Parish of Tsinga in Yaoundé. 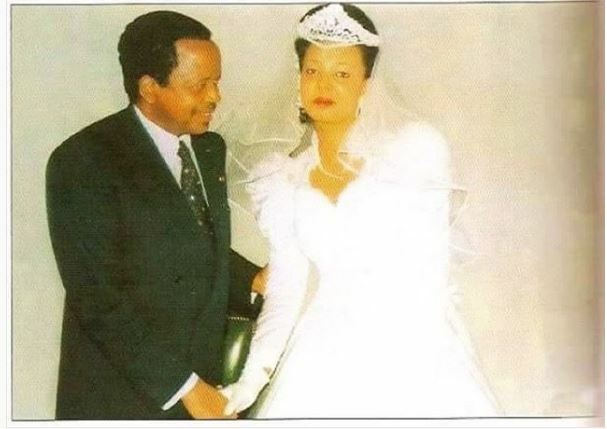 They went on to have two children Paul Junior Biya and Anastasia Brenda Biya. Apparently, on this occasion of their 23rd anniversary, the Presidential couple discreetly left the residence of Etoundi late Monday morning to a private location, keeping it very secretive and private. A very big anniversary birthday cake was shared with the grandchildren before the departure back to the Palace.